Beautifully kept spacious home. Large corner lot, in much sought after neighborhood-come and make it your own! Recently painted internally and externally. Airy high ceiling entrance lounge and dining room. Kitchen finished in granite, stainless steel appliances, with luxury of gas cooking. Well proportioned family room. one bedroom and bathroom on the 1st floor. Spacious 2nd floor master suite with walk in shower and corner tub, large walk-in closet. Two further bedrooms and bathroom on the 2nd floor. 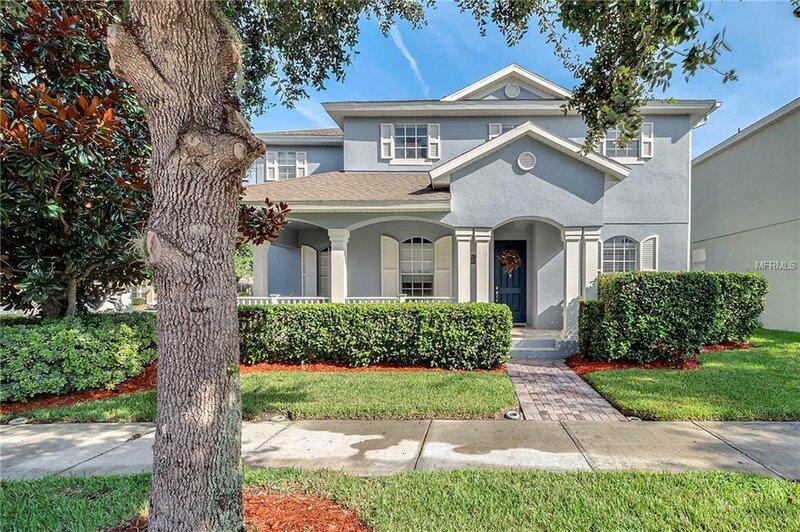 Live the Florida lifestyle with screened pool, spa & seating, and privacy-fenced yard. Close to 429 entrance and 535. Within 10 minutes drive from Publix, Walmart, Cinepolis Movie Theater, shops and restaurants, and within 10 minutes drive of Disney's Magic Kingdom. Listing courtesy of EXP REALTY LLC. Selling Office: RE/MAX INNOVATION.